Dr Burzeen E. Karanjawala obtained a Bachelor of Arts degree in Molecular & Cell Biology from the University of California at Berkeley and a Master of Science degree in Physiology & Biophysics from Georgetown University, Washington, DC. He graduated from medical school at New York Medical College, Valhalla, NY. He did his general surgery resident training at the University of Texas Health Science Center, Houston, TX and completed his colon and rectal surgery residency at the Colon & Rectal Clinic-Houston/University of Texas Health Science Center-Houston program. Dr. Karanjawala worked for two years at the Lyndon B. Johnson General Hospital, Houston, TX first as Clinical Instructor and then as an Assistant Professor. 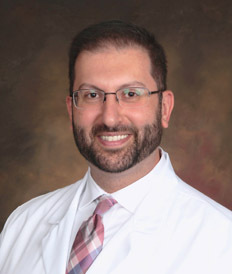 He is board certified in both general surgery and colon & rectal surgery. Dr. Karanjawala has interests in a wide variety of colo-rectal disorders. He is passionate about minimally invasive surgery. He is skilled at endoscopy and is keen on the surgical management of inflammatory bowel disease. He sees patients at the Downtown - Sacramento office.